DICE executive producer Patrick Bach claims that Battlefield 4 is one of the best looking next-gen games due to Frostbite 3. DICE's Battlefield 4 might not be the most stable game on next-gen consoles, but it's hard to argue against the notion that it's one of the most visually impressive titles out right now -- a thought not lost on DICE executive producer, Patrick Bach. Speaking to OXM in its latest issue, Bach thinks they have one of the best looking next-gen games in BF4, and states that the shooter's game engine, Frostbite 3, is an "engine that truly takes advantage of the next gen machines." We're still, I would argue, one of the best looking next gen games - I don't want to say the best-looking next gen game, but we have an engine that truly takes advantage of the next gen machines. 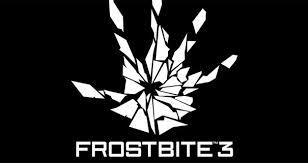 In the same interview, Bach claims that he thinks they made the right move a couple of years ago when they started work on Frostbite 3, and adds, they can see now that the level of next-gen on the engine is "pretty stable." I think we made the right move a couple of years ago when we actually started, a couple of years before Battlefield 3 was even announced, we said what do we want games to be five years from now?...And we can see now that the level of "next gen", if you want to call it that, on Frostbite is pretty stable. Seeing as EA will be using Frostbite 3 to power Dragon Age Inquisition, the next Mass Effect and other games it has lined up, let's hope the engine scales well on next-gen hardware and titles using it won't be as bug-riddled as BF4. Do you agree with Bach's statements or should they improve the engine's stability first before touting how impressive their games look?